Skilled Staff? a closer look at how skilled. The activities we offer at Merri-Mac and Timberlake are exceptional. Therefore, when we begin to hire for the summer we look for exceptionally skilled individuals. We know finding the best staff is important so that our campers have the quality experience they need to succeed in personal growth and adventure. We want athletes, who play at the college level; gymnasts, who compete for their school’s club or team; backpackers, who are certified and go out into the wilderness every weekend; potters, who are studying the art of pottery; horseback riders, who show and jump on their college team. You get the picture! So, let’s look at some of our staff that are making their activity at camp a lifestyle during the year. Timberlake and Merri-Mac climbing instructors Petey G., Sydney B., and Maddy M. are going out almost every weekend, really any chance they can, to climb. 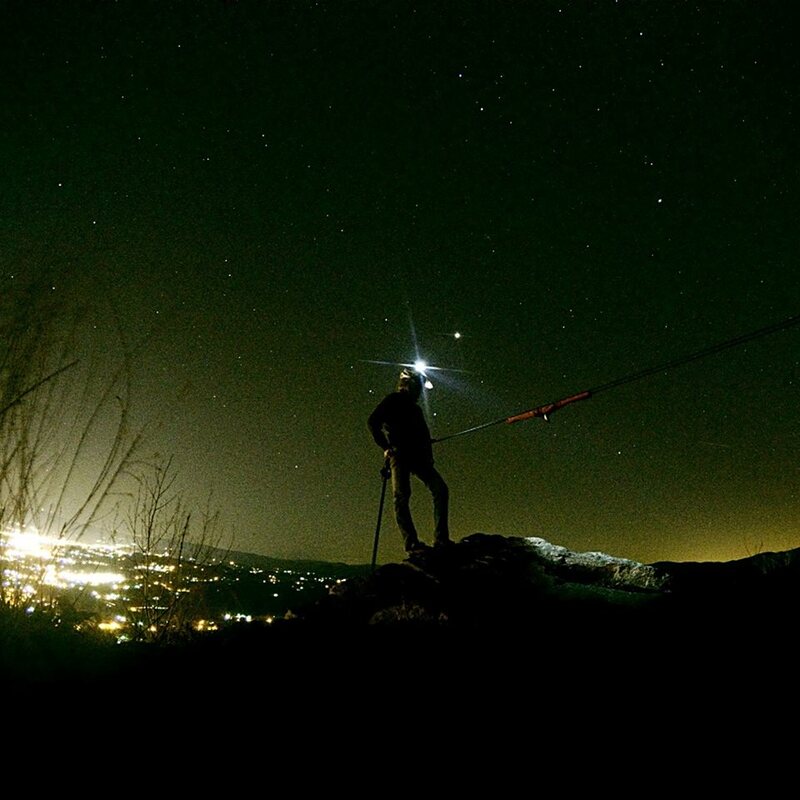 Not only are they climbing in their area, the mountains of Western North Carolina, these skilled climbers are also taking trips to places like Red River Gorge in Kentucky and T-Wall (the Tennessee Wall) in Chattanooga, TN. They’re also hoping to head to Indian Creek in Moab, Utah in the spring. Sydney B. and Maddy M.
Maddy M. loves to climb! Petey G. crack climbing at Red River Gorge. Summer staff are not the only one’s taking climbing trips, our year round staff Adam, Ryan and Noah recently went ice climbing at Sam’s Knob. Needless to say, the Merri-Mac and Timberlake climbing program is trained and taught by professionals. Black Mountain Expeditions’ Director Ryan ice climbing. Ryan (BME Director), Adam (Merri-Mac and Timberlake Director) and Brock taking a quick break from their ice climb. The Merri-Mac and Timberlake paddling program is phenomenal, and our paddling staff is no exception. During the staff reunion over Christmas, five of our kayakers paddled section 9 on the French Broad River, despite the cold winter morning and even colder river rapids they were to face. Elizabeth P., cabin area director and head of Kayaking for the summer, first learned to kayak at camp on Lake Doris. Now, Elizabeth is the Kayaking Key Staff for the Outing Club at W&L, and she teaches their Kayaking Roll class. She hopes to eventually take her class out on the James and Maury rivers. Dakota R. will be joining our Trip Staff team for his first summer at camp, but this is by no means his first experience paddling. He grew up in the area around camp, and currently spends his time going down Class 5 rivers. Dakota will be teaching our campers the techniques to maneuver down the very Class 3 rivers he knows so well. Elizabeth P. teaching W&L students how to roll. Mary Grace B. invested in a new kayak. She named her kayak Elsa and is excited for Lake Doris to meet her! Mary Page B., Dakota R., Hank B., Kelli Ann T., Ethan T. (not pictured), and Mary Grace B. brave the icy weather to paddle section 9, during staff reunion. The Mountain Bike program at camp is fairly new for Timberlake and this summer will be Merri-Mac’s 1st summer. We recently hired two cyclists, who compete on the Milligan Cycling team Andrew and Hannah. These two are constantly racing and, it seems, always standing on podiums qualifying in their major races. Joe B. attends Covenant College and is our veteran Mountain Biker for Timberlake. Joe continues to impress us by using any free time he can to hit the trails on Lookout Mountain. In hopes to work her way towards professional cycling, Hannah S. will participate in at least 6 races across the southeast and in California this June. 2nd Session she will join Andrew and Joe teaching Mountain Biking to our Merri-Mac and Timberlake campers. One of the many mountain bike routes on Lookout Mountain, where Joe B. spends his time. What a great picture to end on! We’re confident that Andrew S. has a lot to teach our campers about the epic sport of Mountain Biking. We can only imagine what this summer will teach our campers and staff. But, we can guarantee it will be an adventurous summer guided by quality camp staff. Why Send Your Son To Christian CampGet ready to watch Clark Beckham tonight on American Idol!